The monitor for the RC Logger comes with a transmitter mount which works perfectly with many transmitters that have a typical wire handle and a foldable antenna. When I setup the RC Logger system on my HobbyKing X900 Tri-Copter, I used a Spektrum DX18 to fly the model. 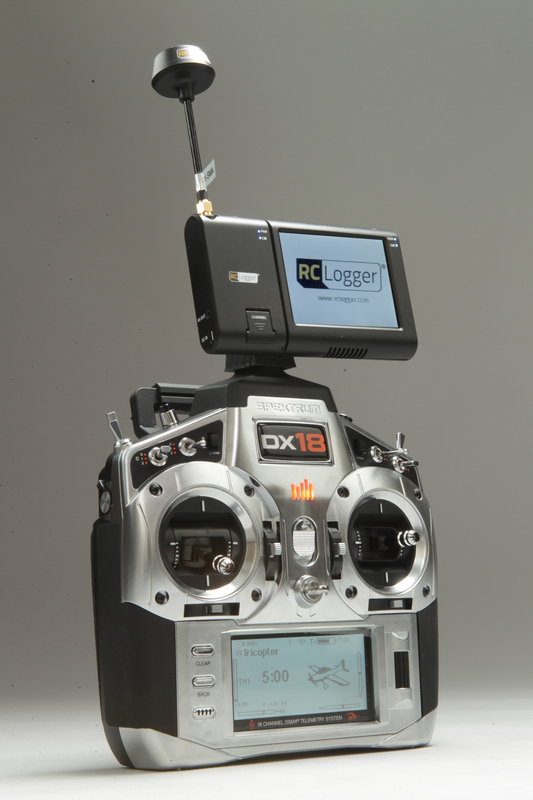 The DX18 uses a fixed antenna and a molded carrying handle so the RC Logger monitor mount will not work. 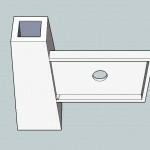 So I was looking for a solution and I finally ended up designing a monitor mount that slides directly over the DX18’s antenna. The solution worked perfectly. It took me about 90 minutes to print the mount on my 3D Printer and when I was done, the monitor attached perfectly to the mounting plate and it simply slides over the antenna. If you fly with your transmitter tilted towards the ground, you will need to add some double-sided tape or Velcro to the inside of the mount to prevent it from sliding off. The antenna is made from some pretty durable plastic, but I would not use a monitor that weighs much more than 10 ounces or so. Be careful with your transmitter, as you don’t want to bang it on something and break the antenna off. I printed this on a Ultimaker 2 3D Printer using 3mm black PLA filament. You need to print using support material. I used a 10% infill for the support with a 1mm spacing between the support and the part. I printed the part using 3 perimeters, and 3 top and bottom layers with 20% infill. All you need to do is download the .STL file below and use your Slicing Software of choice with the above settings and you should be able to successfully print the mount. Feel free to email me at erickr@maplegatemedia.com if you have any questions. 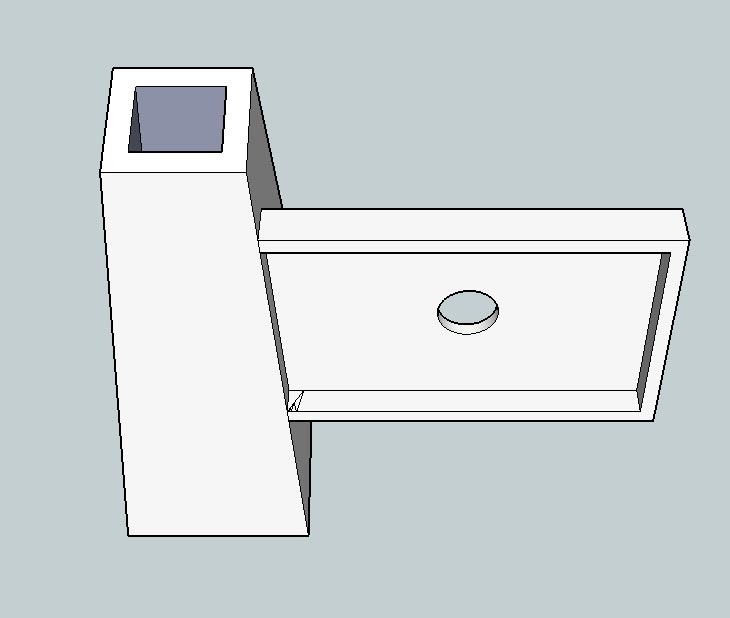 There are two files below from Sketchup; one for the file as I have it designed for the DX18 and RC Logger monitor and the other is just the mounting post for the DX18 antenna so you can add your own custom mounting bracket to it if you are not using a RC Logger monitor. 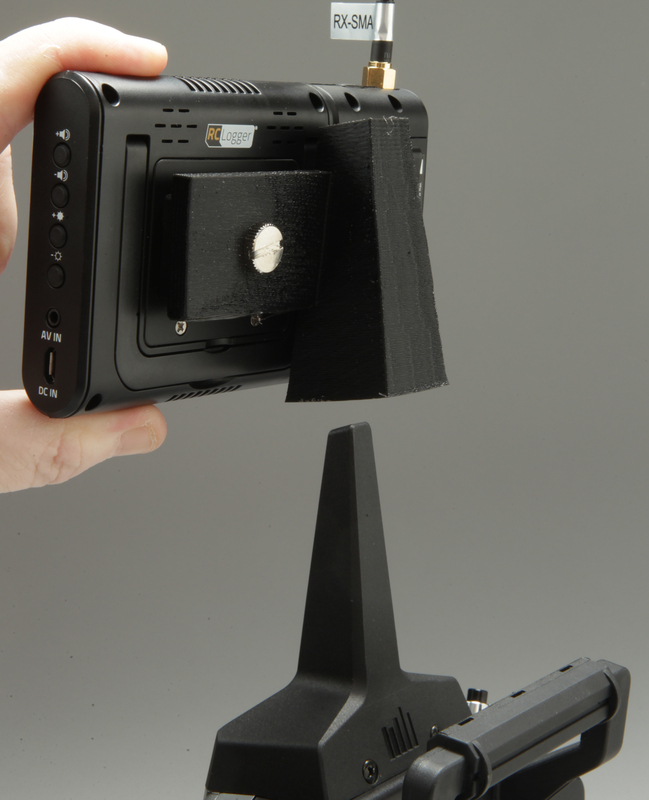 If you don’t have a 3D Printer but would like to get a mount, please contact me at erickr@maplegatemedia.com and I will put you in touch with someone who can print one for you.